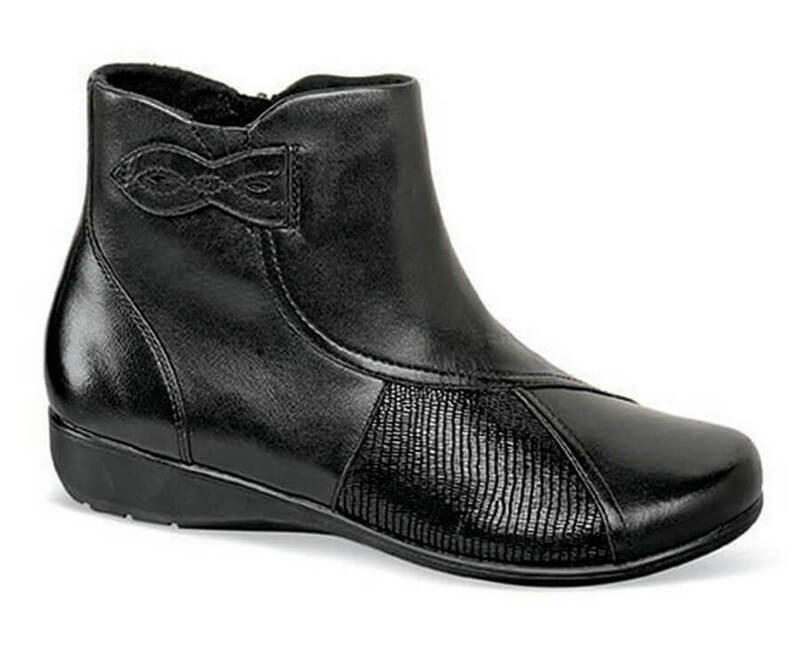 What's not to love about "Anstice," the beautiful ankle boot from Aravon? Its creatively designed uppers of smooth leather and reptile print are lined with moisture-wicking Dri-Lex® and have a concealed side zipper for easy access. The wonderfully comfortable footbed of EVA and luxurious Memory Foam topped with Dri-Lex® has a reinforcing Stability Cradle for all day support. 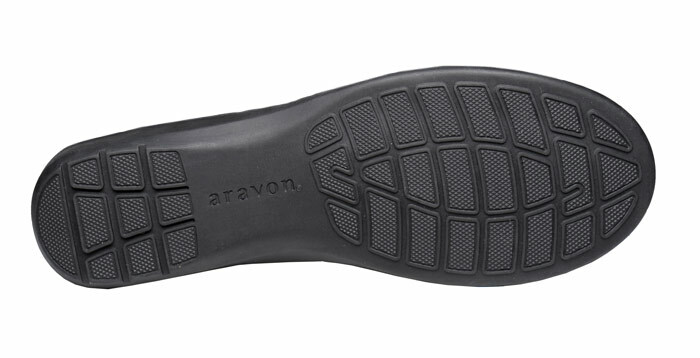 Rubber outsole assures good traction. Limited stock in women’s sizes 6½–10, 11 in 2E width.